Thank you for visiting our website. We want to give you the opportunity to find answers to your recycling questions. If you have any suggestions, we would LOVE to hear from you. Please click one of the buttons at the left to get more information, If you are looking for information, click Recycling Facts. If you are looking for pricing, click Pricing. Please keep in mind that pricing changes regularly. For the most up-to-date price, please call us at (814) 427-2022. Gruda Metal Corp. is owned and operated by Kay Bowser and her two sons Duce and JP. The Bowser family acquired the company in 2003. Duce's wife Jen and JP's girlfriend Holly work in the office. We are truly a family organization. We also typically employ 3 or 4 others who work in the scalehouse and yard and feel like family. 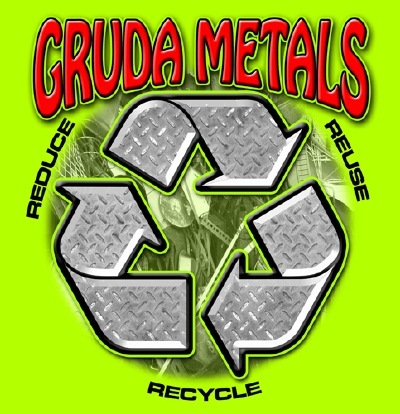 We love to see families recycle and will do all we can to make your trip to Gruda's an enjoyable and profitable experience. Our business is located at 349 Gruda Road, Stump Creek, PA. We are approximately 3 miles south of Sykesville on Route 119. If you need directions, please feel free to call or email us.